Few can deny the timeless quality of Scandinavian interior design. 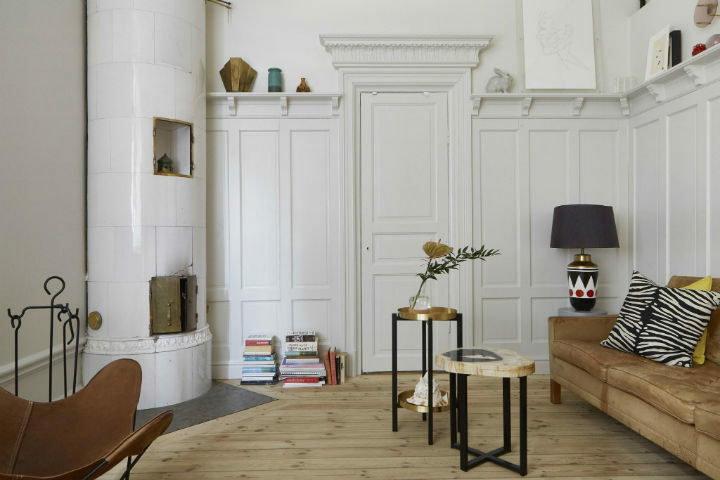 With a unique ability to blend bold statement pieces with a serene minimalist vibe, true Scandinavian interior design can feel both homely and ‘show home’ at the same time. Don’t take my word for it though! 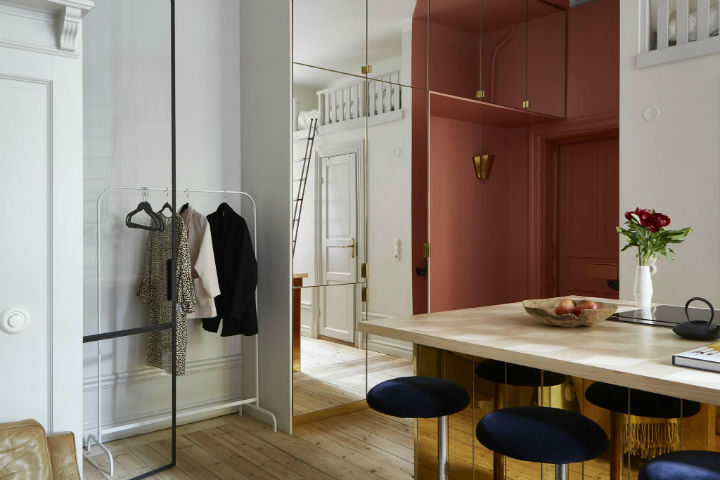 Have a look at apartments such as this whose interior hums with all the sophisticated yet understated Swedish charm of ABBA. 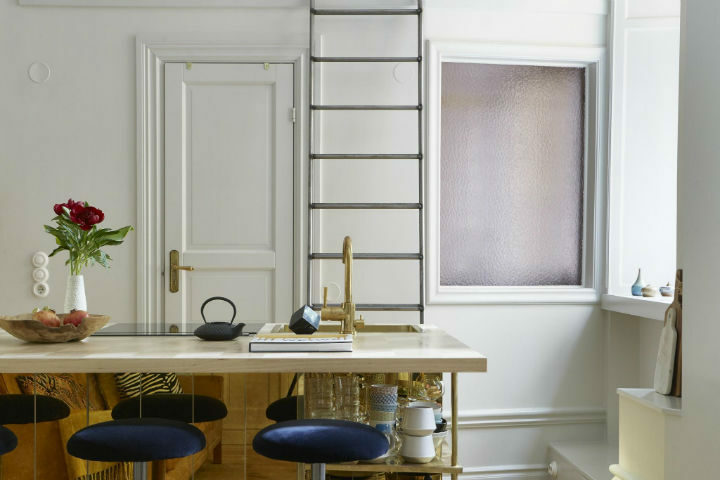 This gorgeous studio apartment might only occupy 400 square feet but it sure does punch above its weight in terms of style and space. 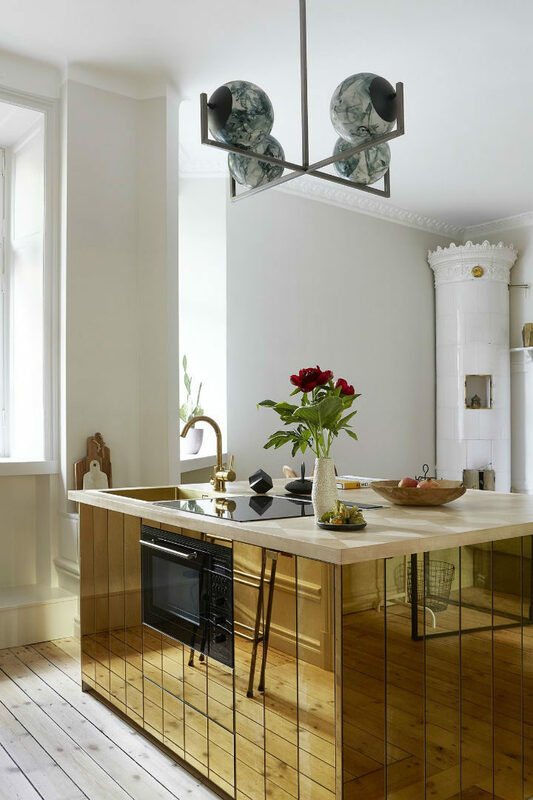 Aside from the typical Scandinavian influence of wooden floors, white walls and uncovered windows, just look at the brilliant use of a mirror kitchen cabinet to provide a striking centre piece that also blends so successfully with the open and airy vibe of the room. 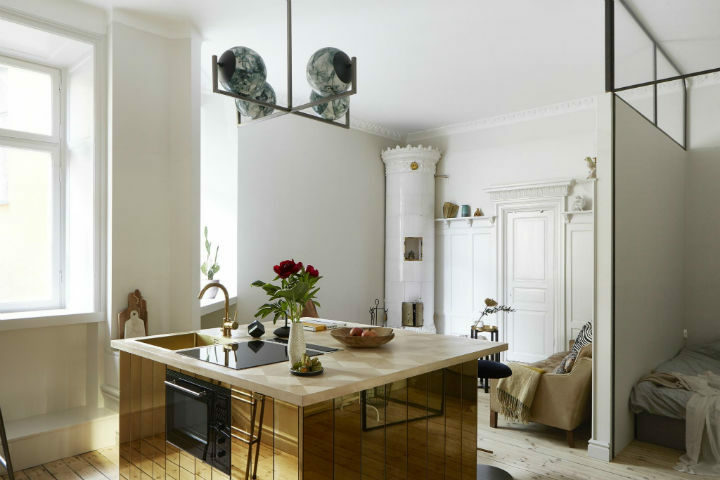 Similarly the 1970s inspired chandelier and kitchen stools provide retro character pieces that work well within the kitchen’s stripped back design. Again nothing too jazzy, but just loud enough to draw the eye. 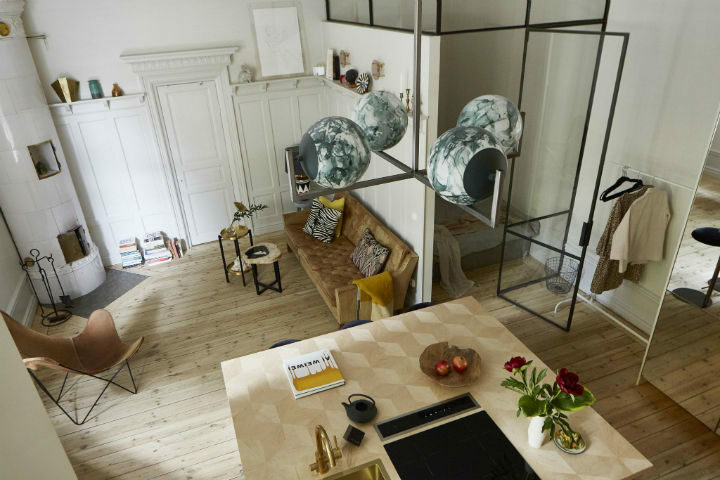 Also let’s take a moment to appreciate the fantastic use of space of this apartment with the inclusion of a loft bed above the bathroom, and the practical ‘end-of-island’ storage shelves. 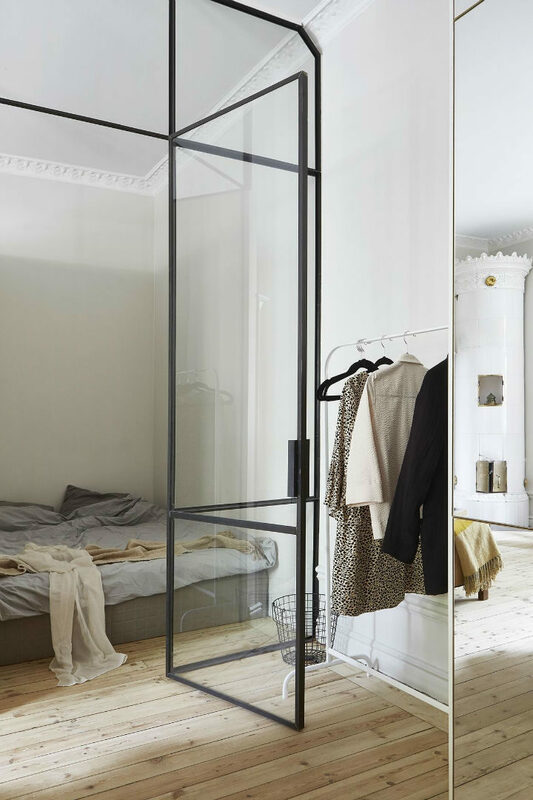 This is straight out of the Scandinavian interior design handbook; maximise the efficiency of the space you have while maintaining a clean, open and clutter free impression. 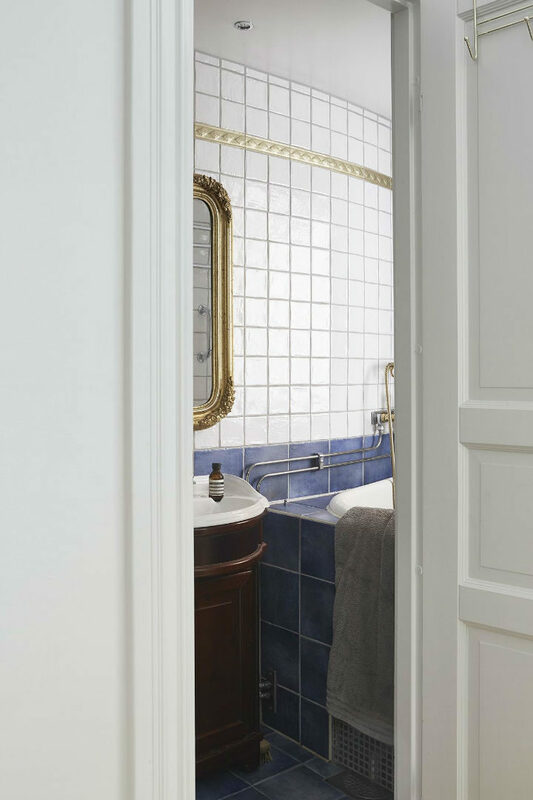 The entryway continues this approach with the use of mirrors to create the illusion of space by reflecting light and keeping the dark at bay. Remember darkness and dark colors shrink rooms and cosy English cottage is not the look of a Scandinavian inspired space. 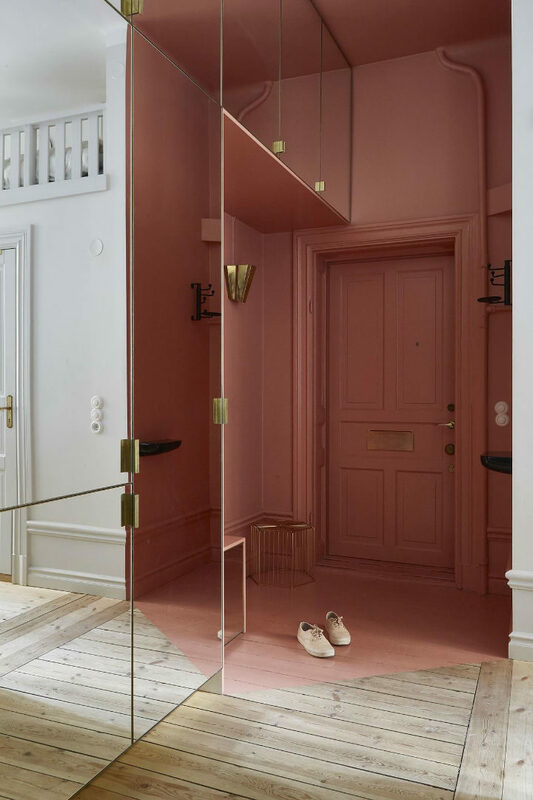 And while there is a splash of color in the hallway, the color is a toned down dusty pink that is not overwhelming and fits with the serene vibe of the apartment. 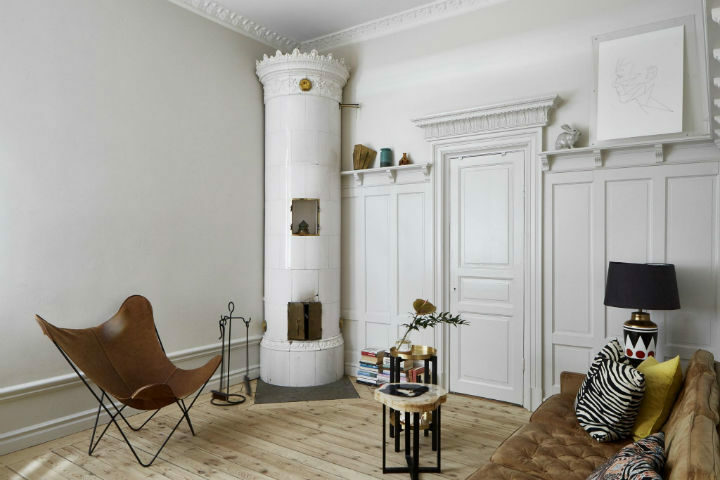 The living room is perhaps the most Scandinavian part of the apartment. 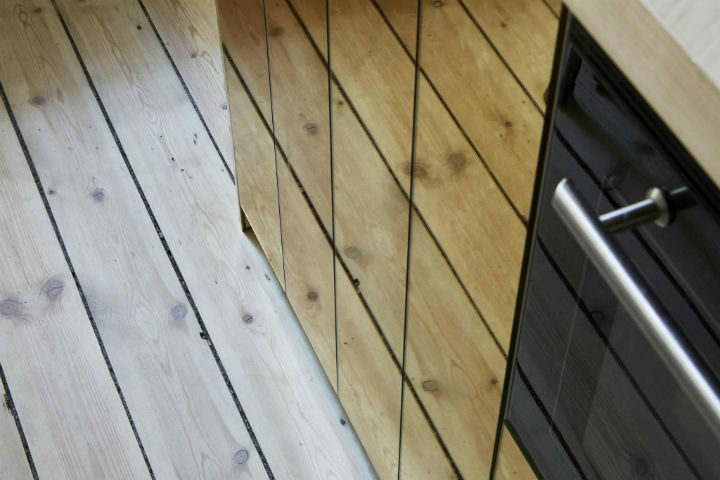 Shelf railing and panelling compliments the exposed wooden floorboards in an effortless way. 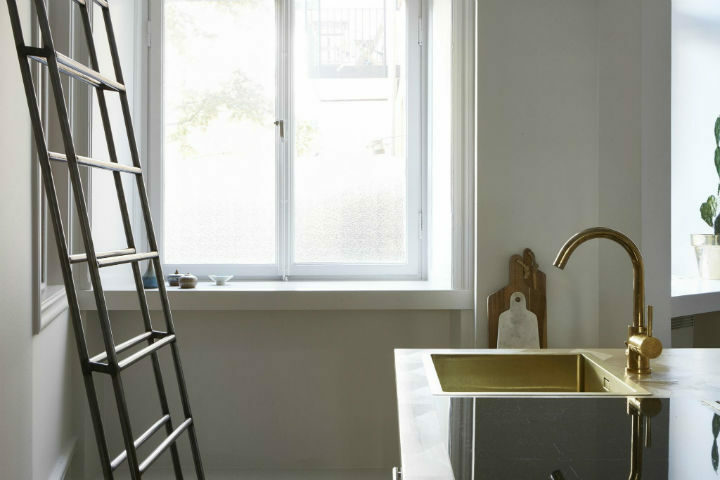 And the quirky ornaments, fixtures and fittings add just enough texture, angled lines and difference to prevent the apartment from appearing spartan. 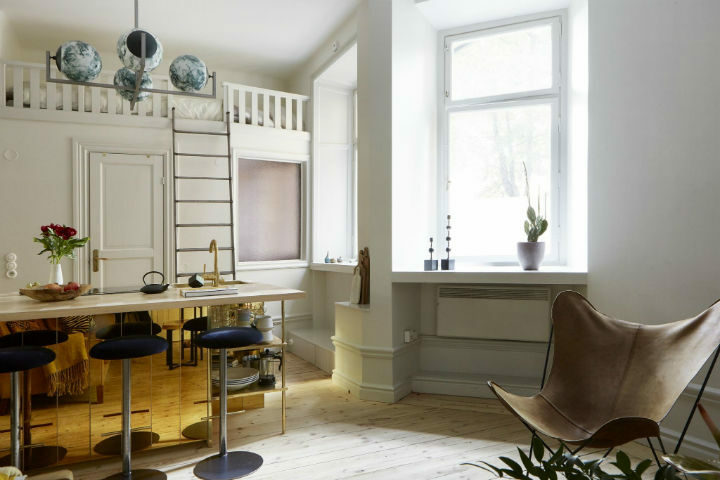 So, if you are interested in researching Scandinavian interior design, this gem of an apartment is a good place to start.